JACKSON — Investors, fund managers and other heavyweights from the financial world spent much of Friday morning at Snow King Resort lamenting newly released, unexpectedly weak economic growth figures from the first half of the year. They spent much of the afternoon reassuring each other that the United States would not default on its financial obligations — while at the same time wondering what to do if that happened. “There’s nothing the fed can do to remedy a failure to raise the debt ceiling,” President of the Federal Reserve Bank of St. Louis James Bullard told nervous investors attending a panel discussion on economic policy at the Rocky Mountain Economic Summit. It was exactly those nervous investors congressional leaders and the White House sought to reassure Sunday evening as they announced a debt ceiling deal had been struck — just in time to stave off what could have been a punishing drop in the early-opening Asian financial markets. The House on Monday voted 269-161 in favor of a final compromise bill to raise the debt ceiling. The Senate approved the measure today in a 74-26 vote, and President Obama quickly signed it, narrowly averting what could have been a financially disruptive default if an agreement was not reached by midnight tonight. 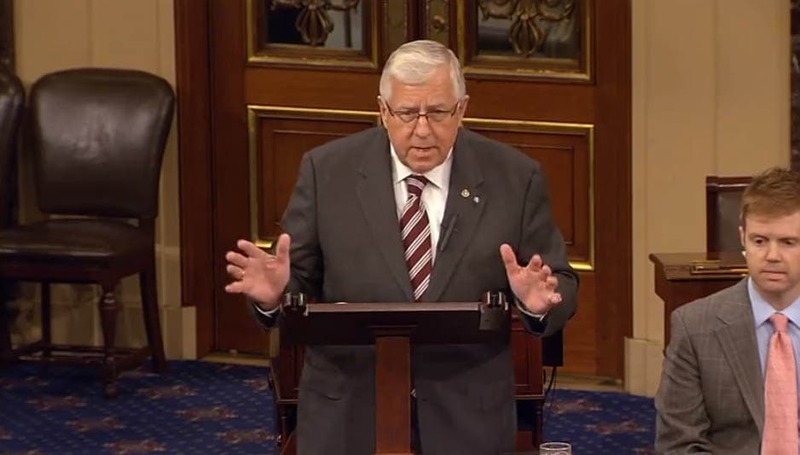 Sen. Mike Enzi also voted in favor of the bill, but did not post a statement online immediately after the vote. The compromise deal would increase the debt limit in stages over several months by between $2.1 trillion and $2.4 trillion, while establishing a bipartisan congressional committee to study additional spending cuts and new tax reforms meant to reduce deficit spending by an additional $1.5 trillion. It does not raise taxes or cut entitlements in the short term, and enacts 10-year discretionary spending caps generating nearly $1 trillion in deficit reduction, spread across defense and non-defense spending. It enacts triggers for deep spending cuts in cherished programs like defense and Medicare if Congress fails to reach consensus on a plan for additional cuts and revenues, providing a strong incentive for bipartisan cooperation. The members of Wyoming’s congressional delegation, all Republicans, have each said for months that federal spending must be sharply curtailed as part of any deal to raise the debt ceiling. But they have differed somewhat in which ideas they said they would consider as part of any final deal. Enzi, a member of the Senate Budget and Finance committees, offered preliminary backing for the so-called Gang of Six plan. The proposal, crafted by a bipartisan group of six senators who served on Obama’s budget deficit commission, would have trimmed $3.7 trillion from the deficit over the next decade. 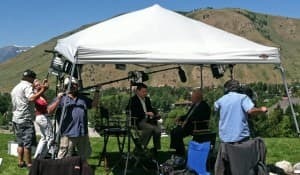 “This plan could be the way out of all the angry rhetoric coming from both sides,” Enzi said after meeting with a bipartisan group of about 50 senators July 19, according to a statement released on his web site. “I’m sure there is not 100 percent agreement on all the decisions, but they realize that something has to be done. It sounds like a positive effort at a passable solution,” Enzi said, adding that he would have to review the plan in detail before making a final decision. But the plan lacked sufficient backing to advance. 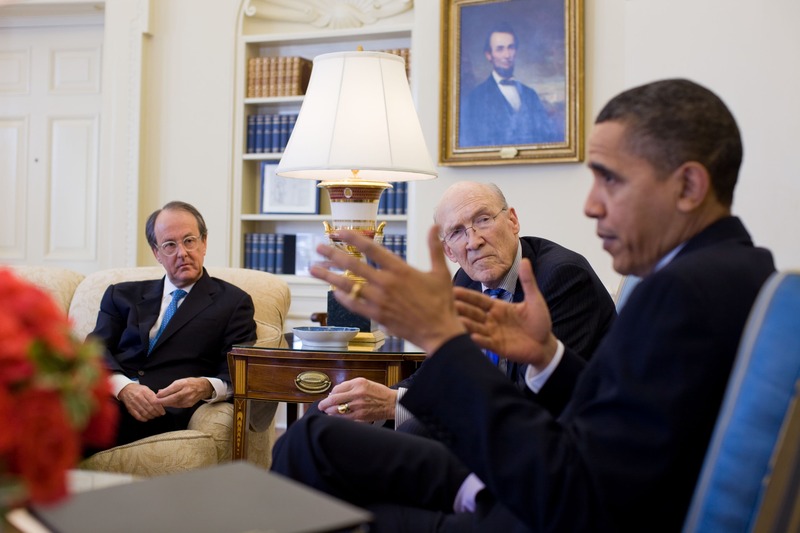 The Gang of Six plan was largely based on the final recommendations made last year by the presidential deficit commission co-chaired by former Sen. Alan Simpson, of Cody. The Gang of Six plan called for about $1.4 trillion in savings from discretionary appropriations — a broad category that includes everything from highway projects to military spending, for example, and accounts for about one-third of the total budget. It proposed nearly $740 billion in cuts, caps or restrictions on entitlement spending, including Social Security, Medicare and Medicaid. It would have raised an additional $1.2 trillion or more through tax reforms that would lower overall rates, but eliminate many loopholes, deductions and other tax expenditures. 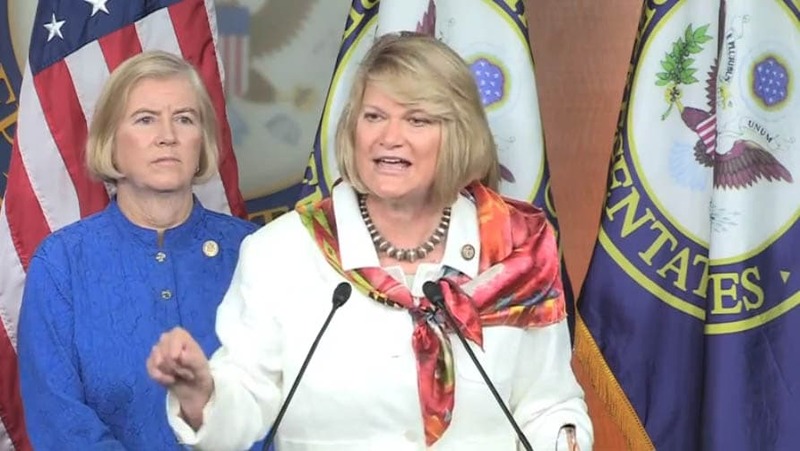 Lummis voted for an earlier bill backed by House Republicans that would have trimmed $111 billion from the 2012 fiscal year budget and capped annual spending as a percentage of gross domestic product. The bill also called for raising the debt ceiling only after Congress had approved a Constitutional amendment requiring a balanced budget, a change that would eventually require ratification by three-fourths of the states. Sen. John McCain (R-Ariz.) said the idea that a divided Congress could pass a balanced budget amendment by Aug. 2 was “foolish” and “bizarro,” and read on the Senate floor from a Wall Street Journal editorial that ridiculed some House Republican Tea Party members as “hobbits” striving to defeat Mordor. The Senate and White House had failed to put forth a credible plan, Lummis wrote. “Consequently, should the debt ceiling vote fail to include significant front-end loaded spending cuts and, more important, structural reforms, I will continue to vote ‘no,'” she wrote. Lummis wrote that financial markets lacked confidence that Congress and the president would fix the nation’s structural deficits. “Citing the unlikelihood that Washington can reach agreement, Standard & Poor’s outlook on Treasury bond is now negative. Bill Gross of PIMCO has dumped all Treasuries from the world’s biggest mutual fund,” she wrote. Gross manages the $241 billion Pimco Total Return Fund, and has long wielded considerable influence as the one of largest buyers of government bonds. But just two days after Lummis’ op-ed, writing in the Washington Post, Gross explicitly warned Congress not to risk financial default — or even a downgraded credit rating — by failing to raise the debt ceiling. “The debt ceiling must be raised and not be held hostage by budget negotiations. Don’t mess with the debt ceiling, Washington. Bond and currency vigilantes will make you pay,” he wrote, referencing the virtual certainty of increased interest rates on Treasury securities in the event of default. Gross’ stance on the issue was hardly new information. He had been warning Congress for months not to forgo raising the debt ceiling as a forced means of deficit spending reform. 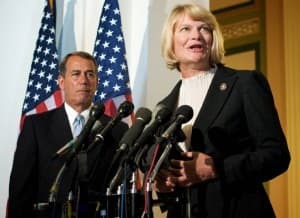 That same day, July 13, Lummis dismissed concerns about the financial repercussions resulting from failing to raise the debt ceiling, telling Wyoming Public Radio that the federal government could find a way to pay its bills without borrowing more money. “The United States has over two trillion dollars in financial assets, including stock in General Motors, as well as other financial assets,” she said. But he also warned against the dangers of default, or even a credit downgrade. 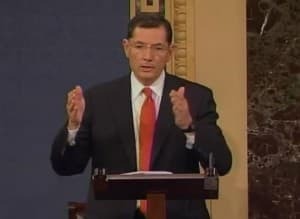 When asked by Van Susteren why America is “held hostage” to Moody’s and other credit rating agencies, Barrasso warned that the consequences of default would be dire. “If we do get downgraded on our ratings, that means that interest rates are going to go up,” he said. “If interest rates go up a percentage point on $14 trillion of debt, you know, you’re talking $140 billion a year of additional debt payments that we would have in this country,” he said. There would have been virtually no chance of having a less rancorous vote on the debt ceiling sometime next year, said Jim King, a political science professor at the University of Wyoming. There is no Constitutional mandate that requires Congress to set a limit on how much money the U.S. Treasury may borrow, and almost every other democracy operates without one. The idea of a debt ceiling was first adopted in 1917, King said. It was initially used as a way for Congress to set broad limits on executive branch spending. Though the president still submits an annual budget, Congress must vote on the final federal budget, and has for decades exercised close control and statutory authority over appropriations and spending. The debt ceiling has typically been raised by the president and his fellow party members in Congress, with opposing party members voting against the move — a process played out dozens and dozens of times over the last 70 years. Many Democrats have said they offered Republicans almost everything they’ve wanted in negotiations, including trillions in spending cuts without any tax hikes. Some Republicans have said that simply raising the debt ceiling at all is a compromise, and that proposed budget cuts don’t go deep enough, while planned tax reforms that would raise revenue are actually tax hikes in disguise. Simpson, a Republican who represented Wyoming in the Senate from 1979-97, said the only long-term path to eliminating deficits and taming the national debt is to decrease spending and raise taxes, a conclusion the deficit commission spelled out last year in its final report. An alternative deficit reduction plan released last year by the Bipartisan Policy Center reached a similar conclusion. 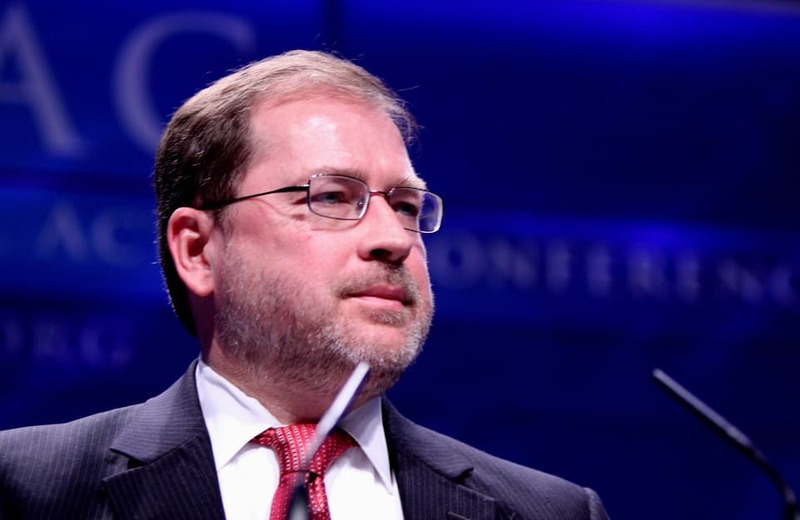 But so many Republicans have signed a “no new taxes” pledge initiated by Grover Norquist, president of Americans for Tax Reform, that Congress appears able to consider only spending cuts, Simpson said. The group’s web site lists Enzi and Lummis — but not Barrasso — as signers of the pledge. Likewise, many Democrats are ideologically opposed to any cuts in entitlement programs like Social Security or Medicare, he said, a position that is at odds with the reality of their unsustainable long-term fiscal prospects based on current and projected revenues. “What can Grover do to you? He can’t murder you. He can’t burn your house down. He might hurt your shot at reelection. But if that means more to you than your country, you shouldn’t be in (Congress) anyway,” he said. Though partisans on both sides of the debt ceiling debate have expended plenty of rhetoric explaining their positions, those positions have often been reversed under different administrations. Barrasso and Enzi both voted in January 2010 against a resolution under the current administration to raise the debt ceiling. But they both voted in favor of a September 2007 bill signed by then-President George W. Bush to increase the debt limit by $850 billion to $9.8 trillion. Likewise, while he was a senator from Illinois, Obama voted against raising the debt ceiling in 2006. A failure of leadership is what investment manager Robert Grady said Obama has shown by not backing the plan developed by Simpson and the rest of the debt commission the president appointed. “The president could have started the debate by endorsing that plan, but instead he has made no specific proposal, which is very unusual,” said Grady, speaking by phone last week. 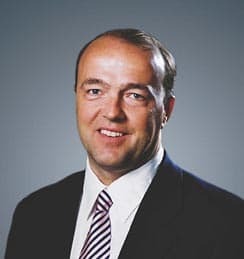 He is managing director of Cheyenne Capital Fund, a Denver-based private equity firm that manages about $225 million in investments by the state of Wyoming. Born in New Jersey but now based in Jackson, Grady also heads the New Jersey Investment Council, which manages $75 billion in public investments for that state. He previously served as a senior official in the Office of Management and Budget under President George H.W. Bush. In a panel discussion during Friday’s economic summit, Grady told investors he was confident a debt ceiling deal could be struck, but he also saw a “likelihood” of some kind of downgrade to the nation’s credit rating. “One thing the drama of the last month or two has revealed is there is no consensus” on tackling the major debt and budget issues beyond the debt ceiling, he said. Grady said during the discussion that he disagreed with Norquist — his friend and college classmate — that reforms to the tax code resulting in greater revenues should be rejected as harmful tax hikes. The tax reform plan proposed by Simpson and the deficit commission “would see us go to three rates that are radically lower,” but it would generate additional revenue for the U.S. Treasury and “be good for growth,” he said. With a continuing sluggish economy and uncertainty among some investors about buying additional U.S. debt, Wyoming is well positioned among the states to attract businesses, Grady said. A favorable tax climate, business-friendly regulatory environment and recent state budget surpluses bolstered by strong energy prices means Wyoming is better able to handle fiscal uncertainty and the higher costs of debt financing that could come with a credit downgrade, he said. Wenlin Liu, senior economist with the state’s Division of Economic Analysis, agreed. “Right now, our state government’s finances are among the best in the nation,” Liu said. Wyoming has not incurred the same level of debt as other states, has relatively low unemployment and a comparatively stronger housing market, he said. But while a credit downgrade might not hit Wyoming government as hard as other states, consumers would feel the pinch, Liu said. The sinking value of the dollar would likely translate to higher energy prices, costing drivers more at the gas pump and adding to home heating costs, he said. Home mortgage interest rates and credit card rates would also climb if U.S. credit ratings take a hit. King, the political science professor, said that Wyoming’s state and local government entities are constitutionally required to balance their budgets, but that doesn’t mean they don’t borrow money. “A city does not build a new water treatment plant with cash on hand. It floats bonds,” King said. And passing a balanced budget amendment won’t mean the federal government won’t continue to incur debt. “Deficit spending is a part of almost every government operation in every way,” he said. Simpson said that voters are “in absolute disgust” from the long deadlock over raising the debt ceiling, but they should be even more horrified about the national debt of more than $14 trillion. “The American public knows that Amy Winehouse died, and they know Lindsay Lohan had the cuff removed from her ankle. But they were asked if they know the difference between the debt and the deficit and 70 percent didn’t,” he said. Simpson said the most viable option for starting to tame the nation’s deficits and long-term debt is, not surprisingly, the Gang of Six plan based on his own recommendations and from others on the president’s deficit commission. Though the bipartisan group of six senators were unable to convince their colleagues to back that plan, Simpson said that if he were still in Congress, he would pitch it to his fellow legislators in the simplest terms. Contact Ruffin Prevost at 307-213-9321 or ruffin@wyofile.com. When I filter all this for Signal-to-Noise, what I’m hearing is the Congress reluctantly agreed to a new debt ceiling only because of the possible adverse effects to Wall Street , not Main Street. I remain disgusted at our emerging America, version 2.0….a Corporatocracy. Excellent piece. Sad, sad story. We got into this mess because the Bush Administration (with a GOP-controlled House and Congress) squandered the budget surplus left by Clinton with massive tax cuts for the rich, an unpaid-for Medicare prescription law and TWO wars waged on the nation’s credit card — a historically unique event that has never happened in recorded history! IF Republicans were all that concerned with the debt, they wouldn’t have done the above and we’d be well on our way to paying off the national debt. In fact, this newfound “concern” over the national debt is solely because of reflexive, automatic opposition to Obama, the Democratic party, all progressive legislation over the past century, labor, regulations and to protect the interests of the super rich. I invite readers to dealve into the voting record of Lummis. She is a radical extremist in the truest meaning of the word and as a founding member of the Tea Party Caucus. She has little to no interest in actual governance, but is focused entirely on punishing enemies, rewarding her masters and black-mailing the nation’s economy in order to get leverage and further the demolition of the 20th century’s legislative advances such as Social Security, Medicare and Medicaid, consumer/financial/environmental/labor regulations. Her “vision” (as well as the core vision shared with Enzi, Barrasso and the rest of the GOP) is a return to the late 1890’s when the Robber Barons owned pet senators, congressmen and entire legislatures, when labor could be cowed by calling out the militia and there were no meaningful protections for the consumer, Main Street investors, the environment or worker health and safety. If you want a modern-day view of what the GOP wants today, look to Communist China — one-party rule, unregulated, runaway capitalism and lots of corruption for the ruling powers. That isn’t the America I want.